I was gifted the latest version of X-Plane and aside from a few early problems with controllers and TrackIR, I'm enjoying it a lot. One very important factor that might keep some replies in context. . .my take on whether or not an FDE is correct for a given airplane is this "If I can take off, fly straight and level, make turns, get to my destination and land, taxi and shut down. . .then the FDE is fine". As for the rest, I'm only flying the default airplanes right now although I did download a few freeware offerings that I haven't had time to try yet. Setup is somewhat different, the end results are the same but X-Plane just goes about it in a different way. I love eye-candy and a few things that I found to be pretty awesome. . .two-tier major highways (with traffic on both levels) with overhead signs, realistic lighting, traffic that doesn't disappear after a short run and then reappear somewhere down the road. Railway system with functioning trains (cargo haulers and high speed rail). More detailed Cities with better framerates. Ground textures with no blurring that I could see and probably a few other things as well. I don't plan on leaving FSX or P3D just yet, but I see where P3d is headed and what it could require in the way of eventual upgrades to be able to enjoy the future of the Sim and honestly a lot of the new technology is of little concern to me. . .and that's just a personal opinion. So it appears that I've found a new Sim to explore and enjoy and I never imagined that I would be saying that and the name X-Plane in the same breath, lol. I love eye-candy and a few things that I found to be pretty awesome. . .two-tier major highways (with traffic on both levels) with overhead signs, realistic lighting, traffic that doesn't disappear after a short run and then reappear somewhere down the road. Railway system with functioning trains (cargo haulers and high speed rail). More detailed Cities with better framerates. Ground textures with no blurring that I could see and probably a few other things as well. I totally agree when I tried the demo. Very impressed with the road/rail traffic. Actually read the road signs and know where you are going! Manfred's C-47 works to by the way of Aeroworx. That's good to know Ed, as I was thinking of trying the Demo, just to see how the scenery, etc, worked with regard to frame rates on my system. I may have to give it a shot. Love XP-11 for its scenery, environment and wonderful community support. have a hard time each session figuring out whether to fire up P3D or XP-11. Both have their good and bad points. BTW, download the Zebo 737, better than PMDG and freeware. Thanks for the report! My old and tired Dell XPS is way past it's prime - and wheezes and coughs whenever I run anything remotely challenging on it. I'm about 6 months past where I thought I was going to replace it, but I just can't bring myself to do so as long as it still runs. However, after the new year, I'm thinking it's finally going to be time. As such, I've been weighing the pros and cons of sticking with the known entity derivation of FSX in P3D, vs. switching over to the X-Plane platform. Lately, I've been leaning towards X-Plane. In addition to YouTube reviews, posts like yours are very helpful for individuals in my situation. I'm finding X-Plane 11 very refreshing after years of using FSX and lately P3D. If I had to pick a flight sim to fly without addons; X-Plane 11 would be my first choice by an extremely large margin. With addons the simulators take on a different persona; with the result that I use FSX the most, X-Plane 11 comes in second and P3Dv4 a distant third. This is only my personal opinion; everyone should try these three (or one of the alternate sims available) to determine their own preferences. The hardware you have as well as the type of aircraft and scenery you use will dictate how suitable any particular fight sim is to your needs. In a moment of frustration with XP a few months ago, I started FSXSE and it just wasn't the same anymore. Much worse performance (< 30 FPS vs > 40 FPS on the exact same hardware with more eye candy) and everything felt so...static. I know it's always a can of worms to discuss the flight dynamics in simulators (nothing comes close to reality), but the minor instability and sensitivity to wind in XP compared to FSX really adds to "being there". The only thing FSX still has going for itself is better AI/ATC interaction. With the increase in cost of add-ons, it's definitely become a lower bar to buy an entirely new simulator opposed to (sometimes) a single aircraft. I've found that by having multiple simulators, I spend more time flying and less time fidgeting and fussing with making MSFS/P3D happy. Enjoy each for their strengths, and the different interpretations of the physical world (both visual and laws of physics). 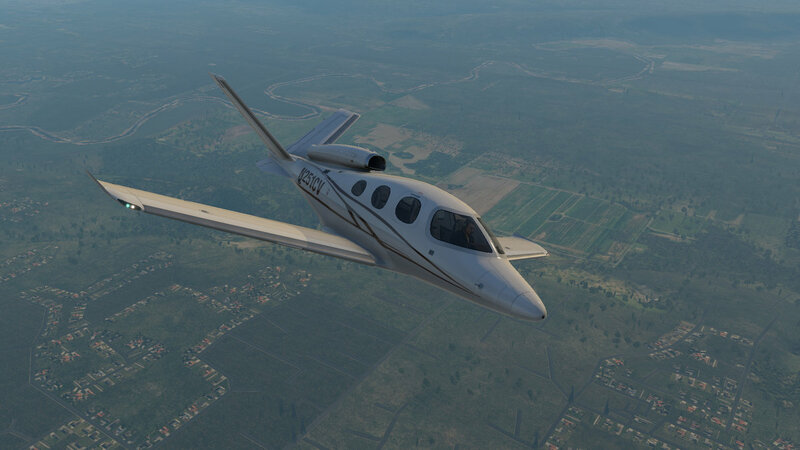 On timely note, is that Carenado and X-Plane seem to be a particularly good match (after picking up a couple of aircraft at 50% off, actively on sale). Aside from the Bernt Stolle era, their flight models have always been lacking in MSFS/P3D. MSFS/P3D really required a flight modeler to know what they are doing, while X-Plane's first approximation seems to land much closer to plausible reality. Carenado planes in XPlane aren't really 100% 'Carenado' planes- the model and textures are ported over but then the systems, sounds, and flight dynamics of the plane is essentially built from the ground up by a small company called Thranda. They are actually a pretty good developer and also port Just Flight's products and make planes independently, most notably the Quest Kodiak which is regarded very well. Thranda's work on everything besides the textures and model makes Carenado's planes in XPlane far better than their P3D counterparts. I'm another running the demo, which conveniently covers my favourite FSX area,, and feeling tempted. Overall the look seems to be reasonably close to Orbx Global, though not "full fat", and with some roads suddenly stopping. Presumably the v3 update will contain improvements. I've downloaded a couple of a/c, and 2D rather than 3D panels seem still to be common. Is that right? My only major niggles so far are the ATC, as Bjoern mentions above, and the slow view panning speed. Has anyone any thoughts on these issues?
. . . . . .Presumably the v3 update will contain improvements. I've downloaded a couple of a/c, and 2D rather than 3D panels seem still to be common. Is that right? Not that I've noticed. I've downloaded 2 freeware airplanes and both have excellent VC's. I've also flown several of their base airplanes and again. . .all had very nice VC's. I never thought I would say this, but I would rather have the very lacking FSX ATC than whatever it is X-Plane calls ATC. . .very cumbersome to say the least. As far as panning speed, I have TrackIR so I can't comment. I got X-plane cheap in a sale and I find that there's a lot to like about it, particularly the scenery as it is out of the box. I do find the exaggerated effect of wind in a light aircraft on take-off very off-putting though! Maybe that's due to a setting that I don't know about though. I have to agree with the OrbX PNW comparison that was made a few lines above. XPlane 11 demo was a very pleasant surprise in that area, indeed. The default airfields were also quite enjoyable, but that's quite normal, since most of them are actually freeware realizations made by the community, and integrated into the official product. Also, keep in mind the demo fully accepts addon planes or sceneries. The only limitation of the demo is the time limit, which forces you to restart the sim every 20 minutes or so. I tend to agree for military aircraft, although Norrin's Jaguar and Mirage III do have potential. On the civilian side, however, you have quite a few jewels available. In XPlane I mostly use the mouse for panning. Double click with the right mouse button. It's not as practical as the hat switch, but it does the job reasonably well. I had X-Plane 11 but deleted it recently as I wasn't using it. By default, the scenery looks better than FSX (particularly at night) but the addition of add-ons such as ORBX and Night Environment to FSX more than compensate IMHO. I didn't like the poor ATC and default weather, the lack of seasons, unpredictable AI and odd ground handling. I also found the flight model, which is supposed to be so superior to FSX, was no better than a good FSX add-on from the likes of A2A or RealAir - the slight instability in GA aircraft which many think is more realistic rarely happens in the real world unless it's particularly turbulent. I suspect that I would have liked XP if I'd had nothing to compare it to but, for me, it just didn't offer enough to make me want to abandon FSX. Tried the demo and hated it. Looked ugly, felt unwieldly. Had roads in places floating off the terrain. Frame rates really not good, way too much work (from what I've read) to make it as user-friendly as FSX or P3D. Uninstalled and gone for good. Thanks to those who replied to my post. I'm still in two minds, but leaning towards getting it. I tried x-plane a couple of years ago, I think it was version 5.5 or something like that. I loved playing around in the aircraft editor and seeing if my weird creations could fly! But on a later flight with a Beech Baron it looked worse than FsX close to the ground IMHO. Not sure if I want to continue using x-plane or that I will make the switch to P3D. What I'm finding, after dissecting it for the past few weeks now is that there are things I really like about it, things I'd like to see changed and things that drive me crazy. I like the attention to detail in the ground level eye-candy (excellent buildings resolutions (HiRise and Residential), and a wide variety of each), Highways that actually look like highways with overhead road signs and highway lighting. Overpasses that actually have traffic on them and traffic that doesn't disappear nearly as often as it does in FSX/P3D. Railroad traffic, which I think is just fun to watch, lol. Also, many highways that, in FSX go sideways through mountainous areas, actually have been leveled by various means so that the traffic looks more realistic. Many larger airports have been rendered quite nicely and I'm not speaking about the major hubs but smaller Regional airports or local GA Airports. There are certainly many airports that lack any enhancements at all, but I guess that's to be expected. Seasonal changes in the Sim, right now X-Plane is only one season (green, lol). I found that pretty amazing that they had not implemented seasons. The ability to change aircraft on the fly. Right now, if you change aircraft the Sim gives you two options "cancel" or "Start a new flight", if you choose the latter the Sim reverts back to your original starting point with the new airplane. Slewing is not an option right now. . .something else I found amazing. At some time or another everyone uses the slew mode but currently the only way to implement that is by downloading a "plug in" (don't even get me started on that subject). Finally, the 1 texture limit . If you look at the liveries folders for any of the airplanes, you'll find that there is one basic texture for the entire airplane. . .same with scenery objects (my Restaurant for Cherry Ridge had 4) and most, is not all of my custom buildings have at least that many. There's probably more but my minds gone blank for right now (it's a senior moment thingie). 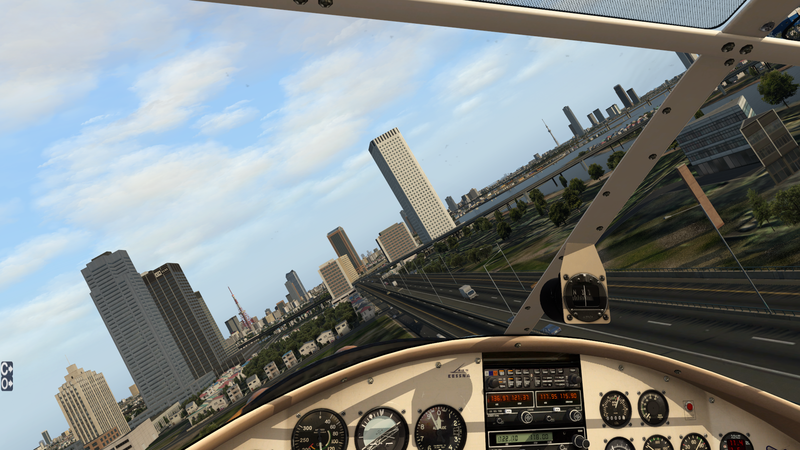 I am going to start posting FSX screenshots in the X-Plane forum. I've already made my mind up that this 64 bit flightsim has the most potential so I'm gonna go with it. I'm still flying XP10 on my home system because it's old but still has a lot of life left in it and now I have it almost looking like XP11 but my builds have XP11. I love all the eye-candy and it really is a living world. I have to use an addon ATC and the learning curve is something less than desirable but he end result is pretty nice. XP11 is sure easier to setup than 10 and tons of fun stuff to play with...wish I had a 1080! If an Admin would like to move this thread to the X-Plane Forum (my fault, I didn't realize there was one til after this one had taken off) I have no problem with that. Certainly don't need to ruffle any more feathers. Hey Ted! Ya dont need a 1080. A 1070 works Just fine .. I was Flying xp10 when the xp 11 beta first came out so, I downloaded the beta through steam and loaded it up on my old amd and gtx 750ti, and couldnt see past the front of the windscreen the fog was so bad. I learned a little later that Laminar used the fog to throttle your view range when your machine wasnt up to the job, and went back to xp10..
Later ( I think last year this time ) I got a ryzen 5 and a 1070 seahawk and decided to give xp11 another try, but there was no upgrade path being offered by steam so, back to xplane 10. A Month or so later, I blew steam off and bought xp11 directly from laminar and gave it its own hard drive so i could move all my aircraft over from xp10. I found a lua script that allows me to adjust the haze so i have it looking pretty close to what i see when i walk out of the house, and for the rest?? I havent looked back at xp10 once. Now mind you. I fly a kind of modified VFR flight. no plan, no AP, just me and the plane a watch and a chart. I'll fly a 777 from seattle to tokyo via anchorage that way ( and have ). I just dont have time for button pushing and knob turning. Probably a good thing i'm not a real pilot . There are things that annoy me to no end though. I have a plugin for seasons ( terra maxx ) but pitch black night skies and pitch black cockpits really piss me off. They had it right in xp10. what happened?? Also, active sky will be a godsend in a week or so, and i just installed reshade so mostly Im a happy camper. Also! I dont know if i messed up or not because the outside world looks SO good, that some of my favorite aircraft now look like they belong to a past era and are a bit "cartoonish". Still we plod ahead..
Not sure if I want to continue using x-plane or that I will make the switch to P3D. The good thing about XP is that it doesn't carry the lingering "This is just a prettier MSFS" feeling with it. Complex aircraft add-ons tend to be more expensive, but semi-current global OSM-based scenery and lots of airport sceneries are free. And XP's architecture is more open to plugin interaction. Official implementation of seasons is somewhere down the road. But most likely not in version 11. That's absolutely not true! Model textures are storen in the "objects" folders. Liveries ONLY contain the texture(s) that was/were actually repainted...just like in FSX, but without the required texture.cfg. If you have just a single texture per airplane, the plane was most likely made in Plane Maker and is correspondingly simple. In fact, all aircraft, no matter how detailed, use such a simple model since it serves as the basis for flight dynamics calculation. By the way: Usage of multiple textures per object, especially something simple like buildings, in FSX is due to a failure of understanding how draw calls and UV mapping works. In the majority of cases, less, but bigger textures is better than a lot of smaller ones. Plugins belong in the "resources\plugins" folder and that's it. No magic, no BS, just the occasional check for a newer version.